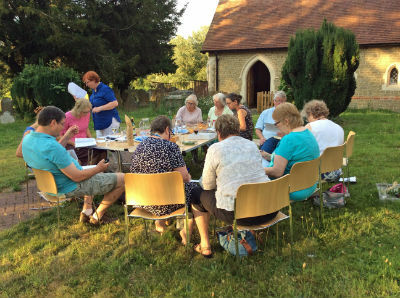 The Forum is an open and welcoming adult group that is about learning. 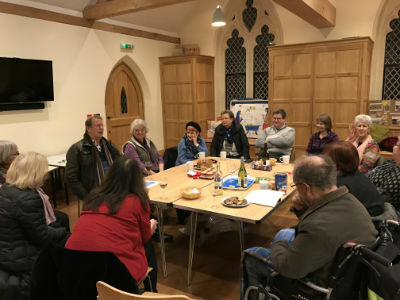 We get together with refreshments (coffee, wine, nibbles, etc) and discuss a broad range of topics covering anything from faith, human development, history, current affairs, relationships, films, etc. We have lively and fun discussions as well as covering serious points. We regularly have structured learning, for example Lent and Advent courses. All are welcome to contribute as you feel comfortable. Take a look at our forthcoming programme and come along to the Forum on a Thursday evening in St Mary's Hall from 7.30 p.m.